As far as bachelor parties go, never forget to look to the Great White North for more than a great time. Thanks to the city’s impressive culinary scene, bars to satisfy every budget and beverage choice, and a booming craft beer scene, Toronto boasts enough attractions to keep you busy between boozing and hangover brunches. Plus you get to put that passport to good use (you’ll need it if you’re flying). Don’t have one? 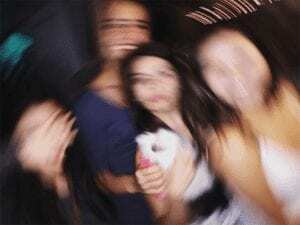 Or is someone in your crew going to have trouble crossing the border (we won’t judge)? Maybe take a look here first before proceeding. You’ve touched down in Toronto and you’re ready to get the party started. Once of the best places to base yourself for an unforgettable time in Toronto is the Drake Hotel (no, it’s not named after him), housed in an historic building that dates back to 1890. Each of the 19 ultra-stylish rooms here are individually decorated and you’ll have your pick of on-site food and drink options, including the Sky Yard, a year-round rooftop patio. 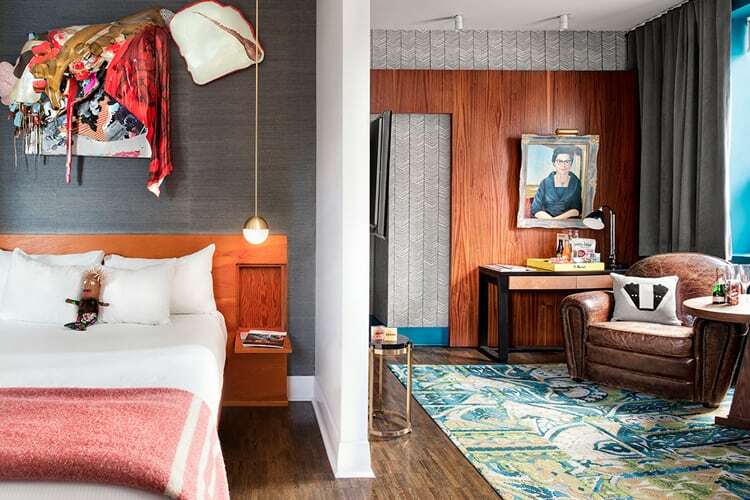 Bedding down at the Drake puts you smack in the heart of Toronto’s west end, in the vibrant West Queen West neighborhood, named by Vogue (yes, that magazine your fiance probably clutters the home with) in 2014 as the second coolest ‘hood in the world (we’re still cool, trust us). Grab a snack at the cafe if you need some fuel before the fun starts. 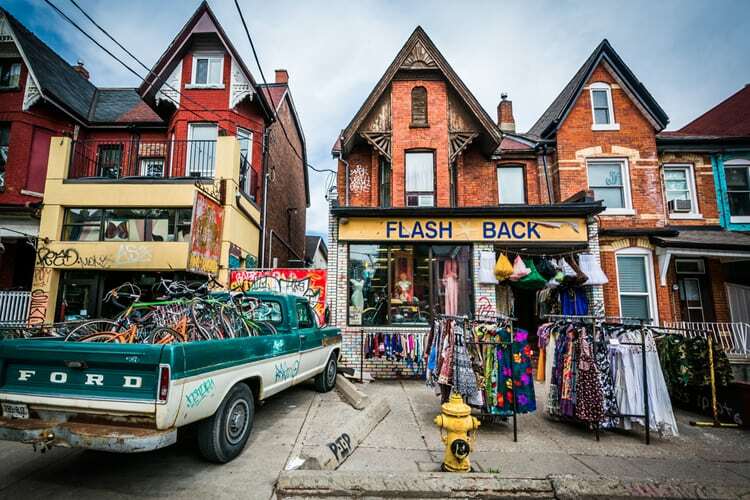 Grab an Uber for the 15-minute ride to Kensington Market, one of the city’s most unique and diverse neighborhoods. Beloved by locals and visitors alike, Kensington was made for aimless exploring; chock-a-block full of vintage stores, cafes, bars, bakeries, and hole-in-the-wall eateries. Go on the hunt for the perfect vintage accessory, shop locally-made goods and screen-printed tees at Model Citizen, then grab a crushable taco (or three) from 7 Lives, which serves up Baja-style Mexican eats well worth lining up for. If you’re in the mood for a beer, order a pint at newly-opened Kensington Brewing Company, pouring unique craft brews like a refreshing watermelon wheat. It’s time to get cultured. 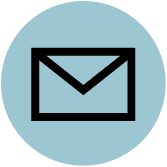 The Art Gallery of Ontario (AGO) is one of the largest art museums in North America and there’s always something interesting going on in terms of temporary exhibitions, as well as the near-95,000 works in the gallery’s permanent roster. See everything here from the European masters to Canada’s famed Group of Seven to cutting edge contemporary pieces. Depending on when you visit, the AGO’s on-site eatery, AGO Bistro, offers their Cinque-a-Sept menu from 3 to 7 p.m. Tuesday through Saturday, wherein you can snag snack deals like charred pork belly for $8, a feature cocktail for $9, and local beers for $7. From Kensington Market, it’s a 10 to 15-minute walk, or grab the 506 Dundas Streetcar (Toronto transit costs $3.25 for a one-way fare), which gets you there in 10 to 12 minutes. It’s BBQ time, north-of-the-border-style! 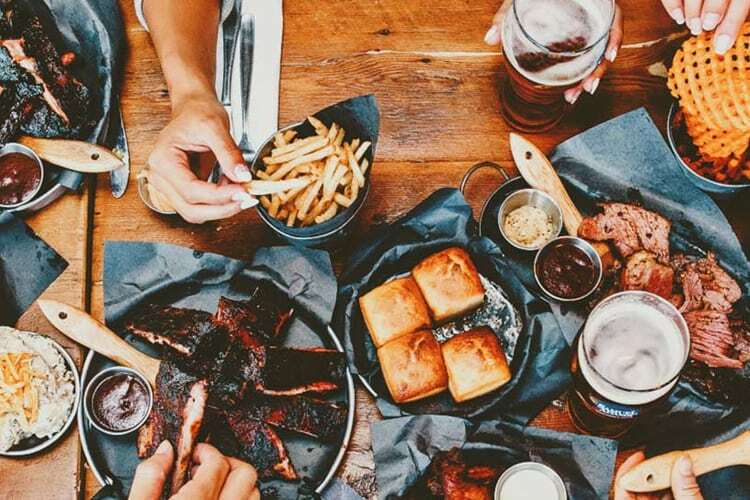 Fill up on classic, southern-style BBQ at Smoque N’ Bones BBQ + Bourbon Bar, about a 10-minute Uber ride from the AGO. Everything that comes out of the kitchen here is made from scratch so why not order a selection of sides, sandwiches, and meats for the table. When you’re done, head upstairs to KOHL, a whiskey bar boasting a mind-boggling array of whiskey, bourbon, and scotch, as well as mini cocktail flights, and more than 20 beers to choose from. One of the best places in Toronto to catch a live show is the legendary Horseshoe Tavern, in business since 1947, and under 10 minutes on the 501 streetcar from the restaurant. There’s something going on here every night of the week so check the listings leading up to your trip to see what you’re in for. The stage here has seen some heavy hitters over the years, ranging from Wilco and the Rolling Stones, to The Tragically Hip (they are huge in Canada), the Police, Arcade Fire, and many more. The front of the Shoe (as it’s often referred) is pure dive bar and in the back—also dive bar, albeit one that’s also one of the best live music venues in the city. Fuel up for the day ahead with everyone’s favorite hangover cure: brunch. Head out from the hotel and take a 5-minute Uber ride (or 15-minute ride on the Dufferin bus to Dundas) to The Federal, serving brunch daily. Get the Belgian waffles if you have a sweet tooth, or indulge in the house version of eggs benny—poached eggs, mushroom tarragon cream, bacon (or kale)—all piled high onto an English muffin. Wash down the first meal of the day with some hair do the dog (if you need it) in the form of a spicy caesar (like a bloody Mary, but better) or a mimosa. Now is also a pretty good time to give the bride-to-be that requisite check-in call. 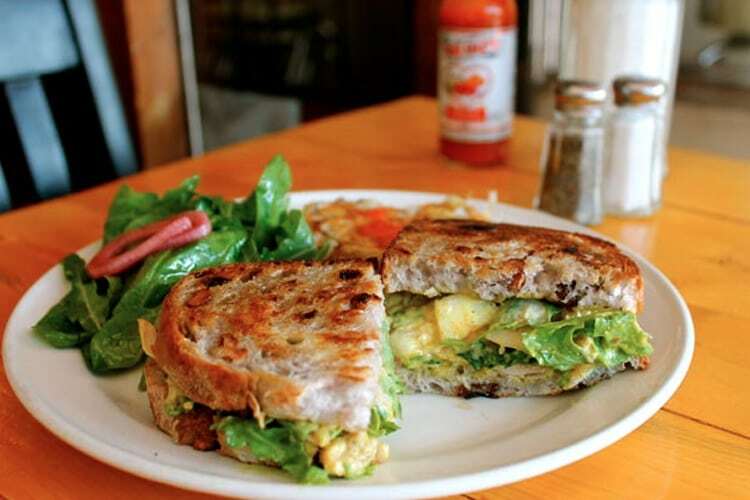 Now that you’re caffeinated and satiated, make your way to the Junction. It’s a 10-minute car ride from brunch to Rod, Gun and Barbers gentlemen’s lounge for some manly grooming. But this isn’t just any old barber shop. Here, you can pair your haircut or hot-towel shave with a single malt scotch and a Cuban cigar. While one member of the party is getting a beard trim, the rest of you can have a few beers while playing a game of darts, or watching whatever game happens to be playing. Get the groom-to-be the “King” which includes a tailored haircut, a Monte Cristo cigar, and a single malt for $70 (or $100 with a wet shave tacked on). 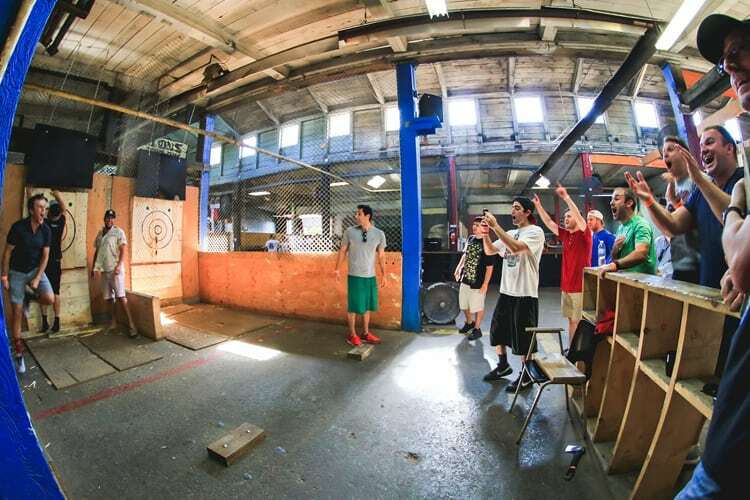 Unleash your inner lumberjack by tossing an axe or two at the Backyard Axe Throwing League (BATL), a 10-minute ride from where you got groomed. 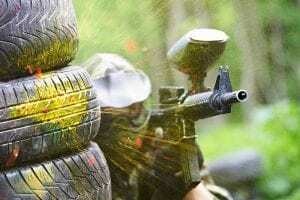 This is a great way to blow off steam, get a little exercise, and have some friendly competition among friends. Walk-ins are an option, but for a group your best bet is to book a private event. There’s no experience necessary and once you get in a few practice throws and tips from BATL’s coaches, it’ll be time for a round robin and group playoff tournament. Losers buy drinks for the rest of the day. Toronto has become a mecca for craft beer enthusiasts over the last several years with breweries popping up on what feels like a weekly basis. 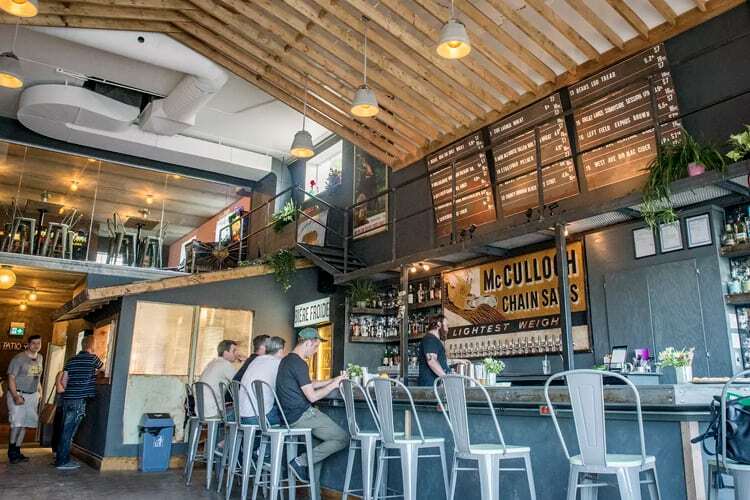 After you toss your last axe it’s a five-minute ride or 10 minutes on the Dufferin bus (to Geary Ave.) for a stop at Blood Brothers Brewing, a family-owned craft brewery opened in 2015 in an up-and-coming but still slightly industrial area of Toronto. Grab a stool in the cozy tap room to sample a flight or two from a rotating roster of great beer. Knowledgeable staff can walk you through whatever you’re sipping. What goes better with beer than pizza? Not much, so make your way on foot (about three minutes) to The Greater Good, home to (yet more) craft beer, some of the city’s best pizza, and an upper level stocked with old school arcade games. Choose your poison, order up a few pies from the small window adjacent to the bar, take a number and then head upstairs to play a few rounds of whatever piques your interest. Pies here come courtesy of North of Brooklyn and you can’t go wrong with the classic margherita, but other solid options include the kale and bacon, or the “killer bee” topped with calabrese sausage, serrano peppers, pickled red onions, and honey. Jumpstart your day with some Spanish fare courtesy of Campos Food Hall, inspired by the all-day markets and tapas bars of Spain, a 10-minute drive or 20-minutes on the 501 Queen streetcar from the hotel. Make your first stop the Instagram-worthy bread and pastry counter piled high with sandwiches, bombas (doughnuts), ham-filled croissants, and empanadas, or opt for a slice of traditional Spanish tortilla made with egg, potato, and peppers. Since you might need a break from the booze by now, wash down your breakfast with a cold-pressed juice from ELXR Juice Lab. Hockey fans take note: Toronto’s Hockey Hall of Fame (a 10-minute ride or 15 minutes on the 514 King streetcar), houses the largest collection of hockey memorabilia in the world. But the sprawling space isn’t just about a hockey-centric history lesson. 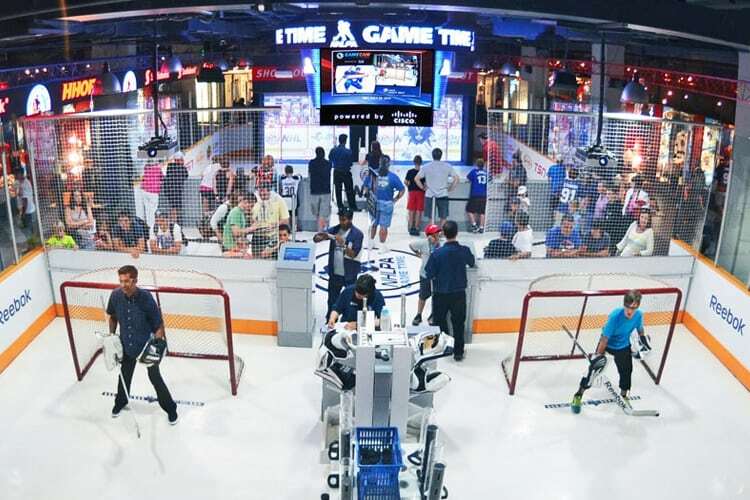 You can also get up close and personal to the Stanley Cup here, watch hockey’s first 3-D film, or if you’re feeling lucky, go one-on-one against life-size, animated versions of some of the sport’s best goalies and shooters. Just try to stay out of the penalty box. Once you’ve had your fill of hockey, take a 15-minute walk to Steam Whistle Brewing at Roundhouse Park to learn all about how Canada’s premium pilsner is made. Tours run every 30 minutes starting at 11:30am, with the last tour at 5pm (4 on Sundays). See the brewing facilities, get a lesson in the brewing process, and taste a sample of beer. Stick around after the tour for a fresh-baked pretzel with mustard-beer sauce before heading to the next venue. If the Jays, Raptors, or Leafs aren’t playing then try checking out a different type of game (no, not Canadian football, but go Argos!). Just a two-minute stroll from the brewery, also at Roundhouse Park, you’ll find The Rec Room. Think your gamer geek buddy’s tricked out bachelor pad, only bigger—much, much bigger. 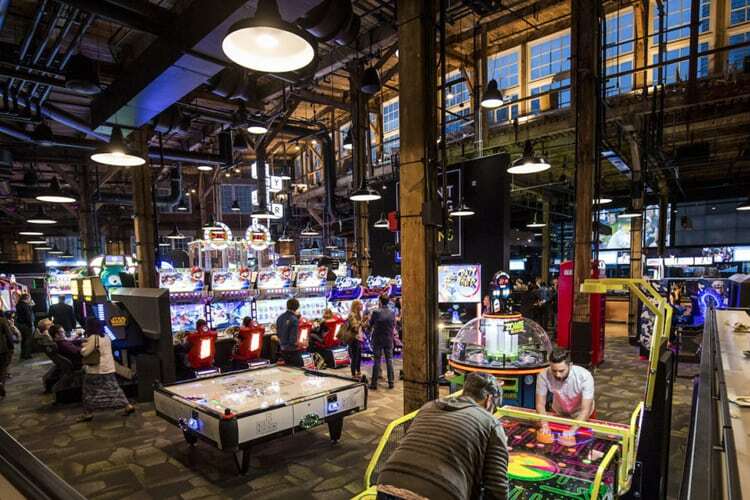 The Rec Room offers over 40,000 square feet of games and entertainment, including VR games, over 80 arcade games, driving simulation, shuffleboard, ping pong, and pool tables. If you need an energy boost in between games or afterwards, two on-site restaurants offer nourishment in the form of pizza and poutine at The Shed, or more refined fare at Canadian-inspired Three10. Since this is your last dinner in Toronto, you might as well make it a memorable one. 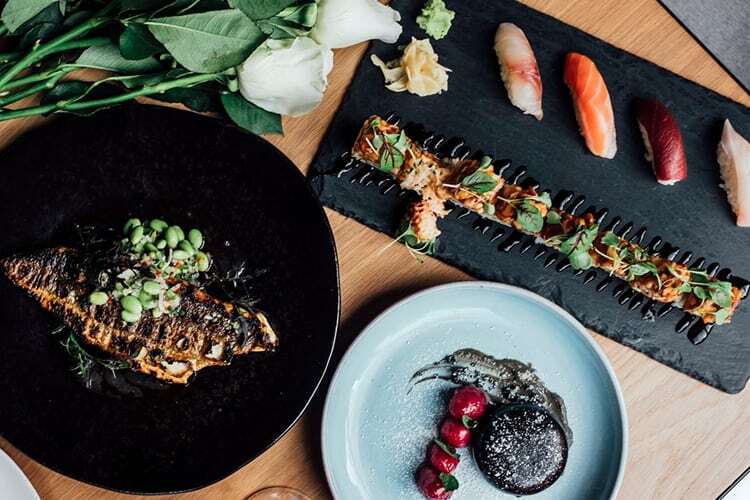 Splash out on a luxe meal in the city’s upscale Yorkville ‘hood, more specifically, some splurge-worthy sushi at Kasa Moto. The two-story restaurant and lounge feature stylish décor (think marble and dreamy koi pond murals) to go along with equally stylish plates of food, the highlight of which is the super-fresh seafood and creative cocktails. In the warmer months there’s a sprawling rooftop terrace to enjoy. The Toronto Pearson International Airport (the YYZ!) is a good 30 minute (without much traffic) drive from your hotel. Leave yourself just a little extra time, since this is technically international travel (your TSA Pre Check won’t work on this end of the trip). Now, wasn’t that 72 hours well spent? And if you need further help putting this all together, we’ve got you covered.